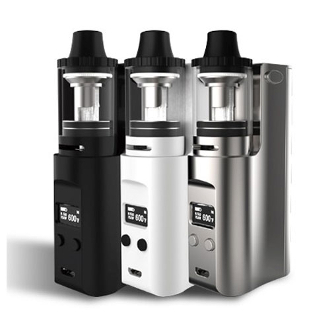 The Kanger Juppi is a little Mod that comes in a fierce package! While it may be small, the Juppi can fire up to 75 watts and has a temperature control feature that can support Nickel, Titanium, Stainless Steel 316, and NI-Chrome wire. Its specs include a passthru function and a magnetized battery cover for two charging methods whether via the micro usb charging port or a bay lithium ion charger. The Juppi is a subohm Unit and gives maximum vapor and flavor no matter its small stature!